For over 20 years, Handyman Connection has made it a priority to equip our franchisees with the skills, knowledge and tools to grow their business. With our brand standards in mind, we strive to provide all potential franchise owners with as much information as possible to help them expand, grow and evolve with a changing business environment. Home repair and home remodeling is a vibrant industry that has numerous demand factors in place for a sustained period of time. The opportunity to generate a portfolio of multi-purchase, repeat customers. 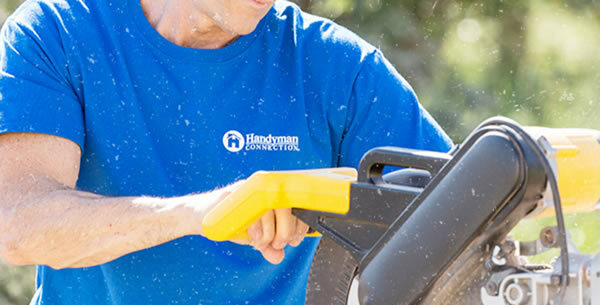 A Handyman Connection franchise offers a simple business model that requires no inventory and low overhead. A Handyman Connection franchise offers you flexibility, both in your time and in your lifestyle. A Handyman Connection franchise offers you freedom from the corporate grind giving you the ability to make your own decisions to grow and build a business as you want it to be. As a Handyman Connection franchisee, you will work for yourself, but not by yourself. Home Office Support – we offer the right mix of guidance and autonomy. The ability to interact with, support and service your local community. 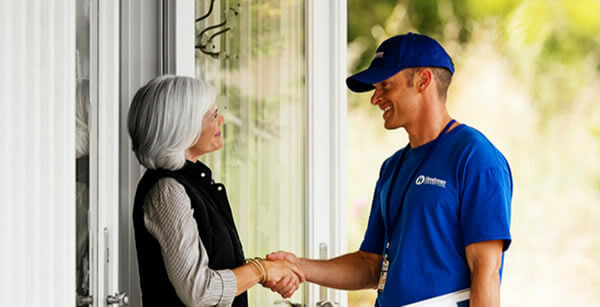 You will have the ability to interact with and learn from other Handyman Connection franchisees, customers and the home improvement craftsmen you engage to provide the services to homeowners. Starting a business is an exciting but new experience for many people. We have developed a customized business management software tool that keeps track of customers, work requests, craftsmen, schedules, appointments, estimates, payments, etc. This tool provides a business dashboard that breaks down your data into key operating metrics and allows you to have visibility into all key areas of your business. Many of our franchisees come out of middle to senior management positions in corporate America, sales professionals and business owners. We don’t expect our franchisees to have all of the skills and characteristics of successful franchisees when they come on board. However, we do look for franchisees to have the ability, energy, and work ethic to learn new skills and the personality to want to execute the skills that we support. These include the development of business plans and effectively marketing & selling Handyman Connection services in their markets. In addition, franchisees must be able to quickly identify and close job opportunities and efficiently manage the completion of those jobs. Franchisees must possess the qualities of an entrepreneur, be willing to work long hours, and assume the personal responsibility for the success of the business. Handyman Connection franchisees thrive on being in charge of a business and must be able to staff and lead people. Franchisees also must have the financial acumen to handle the accounting duties of their company and the organizational skills to ensure that operations run smoothly.